Make Direct Energy your Washington DC electric company and trusted home services provider for electricity, plumbing, electrical, and HVAC services. Direct Energy has fixed-rate electricity plans that provide price security, innovative products to help you manage your energy usage, spectacular home services to help with repairs, and helpful customer care. Stop paying PEPCO's variable rates today, and see what Direct Energy has to offer. You can lock in a competitive electricity rate for up to 3 years, giving you the energy security you deserve. You deserve impeccable service from your plumber, electrician and HVAC technician, plus full, clear communication about all the work being performed in your home. Direct Energy's home services professionals will take the time to explain what's going on in your home and answer all of your questions. With Direct Energy's Home Protection Plans, we'll maintain your home's essential systems to prevent problems before they occur. There's no need to panic, knowing that you're covered from unexpected breakdowns. You have the power to choose your electricity company in D.C., so you can say goodbye to Pepco DC and prices that change with the seasons. Explore more about deregulation, and see why Direct Energy is the electricity choice for you. We're honored to be a guest in your home, and it's our duty to make your home experience safe, friendly, and fun! 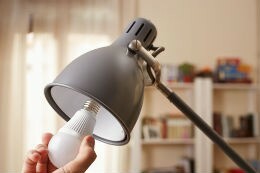 Our Live Brighter blog lets us talk with you about home improvement, safety tips, recipes, and more. Direct Energy wants to connect you and your home in a smarter, more energy-efficient way. By focusing our efforts on innovation, we're able to bring you the tools to help you stay connected - whether you're sitting on your couch or you're halfway across the globe. Be sure to follow us on your favorite social media networks! Whether it's Facebook, Twitter, Instagram, Pinterest, YouTube, or LinkedIn, we want you to stay connected to us. Get the latest energy industry news, updates for our customers, important weather information, and more. Look for special promotions and games on our page, too – we've always got something fun up our sleeves. We want you to have both the knowledge and the resources to make well-informed energy decisions. Take control of all things energy-related in your life by visiting our Learning Center to find articles, infographics, and tips on energy efficiency, home improvement, and deregulation. As a small way to say thank you to those who have served or are serving in the military, we're offering those in the military community an exclusive discount on electricity! It's our way of saying thanks for all you do.